Can work pressure be turned into work pleasure? If you want to be happy in your job, you may have to develop some strategies. You want to recapture the fire that you felt when you joined, but sometimes that can be hard. Repetition of tasks, poor management, seemingly no opportunities for advancement – these can all compound to make you resent your job. But it does not have to be that way. When you focus on a strategy to adopt a different mindset, it is much easier to find pleasure in your daily tasks. This is not a case of fooling yourself – you can give yourself a perception shift by adopting few tactics that work. Write down the tasks for your next days’ work, and you will not need to worry that you will forget something. It is easy to lose focus and with it your peace of mind when you are trying to keep all important tasks in your head. Also, when you note tasks down, after you finish some tasks you check them off. It is a good feeling to cross something off your to-do list. The sense of accomplishment is extremely satisfying! But do build in some time for unexpected events. If not you will be setting yourself up to fail. Do not procrastinate on big tasks. In fact, always push them to the top of your pile and work backwards to the smaller tasks. In this way, your day is set out in such a way that it gets easier is it goes on. Leave your phone on silent or turned off for an hour at a time. They are great, but they are a terrible distraction. If people need you badly enough, they will get back to you. And Facebook and Instagram can wait! You will be amazed how much time is wasted online. Remember, you can say no. You cannot do everything you are asked to do. If you try, once again you will build up resentment toward your job and the people demanding your time. Learn to be practical about what you agree to take on. The result will be higher productivity and a happier you. A great way to get perspective on your job and your place within your organisation is to become a mentor. Alternatively, you seek someone to guide you. In many cases, finding a mentor can do a lot to recharge your batteries. This is because you have someone who has been in your shoes and is currently where you would like to be. Similarly, becoming a mentor to someone else can offer a sense of perspective of how far you have come, what you have learned, and how much you have to offer to other people who are coming into the ranks behind you. Even that can be enough inspiration to take the edge off. 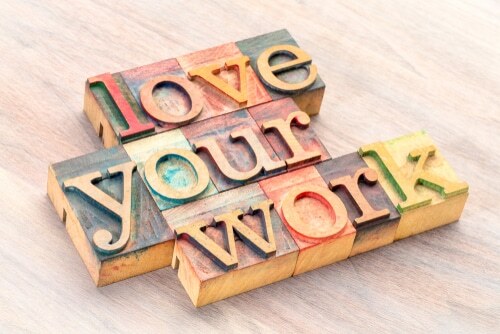 Ultimately, to be happy in your work, you have to be honest with yourself. If you have exhausted all strategies to find satisfaction at work and are still miserable, maybe this company is not for you. Perhaps, if you do not love your job, you will encounter difficulties at every step. If you are not happy with your job, you will never be able to deliver to the fullest even if your technical skills are sound. If you find yourself in this category, it is better to make a shift to a suitable job responsibility or company that matches your natural capabilities. Ultimately, whatever the level of pressure, you must keep your composure. Never let your nerves win over you. To be happy in your job, remain calm – your brain will work smoothly, and chances of making errors will be less. But if you lose your nerves, you may find yourself all at sea, and you can make a big mess. Be honest, try all avenues but be prepared to make big decisions. To be happy in your job is to be happy in life.